Alchemist 420 Trichome Extractor | GreenBroz, Inc. The GreenBroz Alchemist 420 is a dry-sift, solvent-free trichome extractor designed to ensure you are getting the absolute most out of your harvest. Our GreenBroz Dry Trimmers are so gentle on your flower that the trim is perfectly preserved and ready to be thrown straight into the Alchemist 420 for simple trichome removal. The Alchemist 420 Trichome Extractor can be operated as a stand-alone unit or with the addition of pulverized dry ice, using ‘180 Micron’ screens to provide the highest yield and most quality product possible. Turn your perfectly preserved trim from our GreenBroz Dry Trimmers into further profit in an instant with the Alchemist 420 Trichome Extractor! The Alchemist 420 Trichome Extractor can be used with or without dry ice. Maintaining a solvent-free extraction process helps to ensure your product is of the utmost purity and quality that your customers expect from your business. 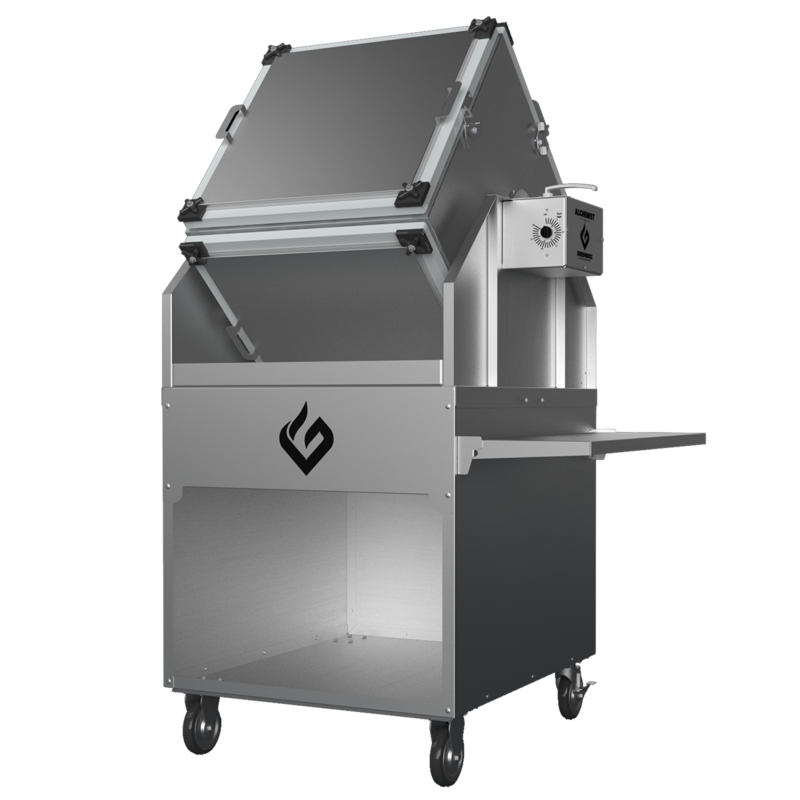 High-quality 180 micron screens come standard with your Alchemist machine. You may also purchase backup or alternate screens at 80 or 130 microns. The Alchemist 420 Trichome Extractor has a capacity of 2.5 cubic feet and can fit as much as 10 pounds of trim at a time while producing a high-quality yield of 15%-25% by weight. With a variable run timer that allows you to stop the process at any time, you can dial in your runs to maximize efficiency and profitability.